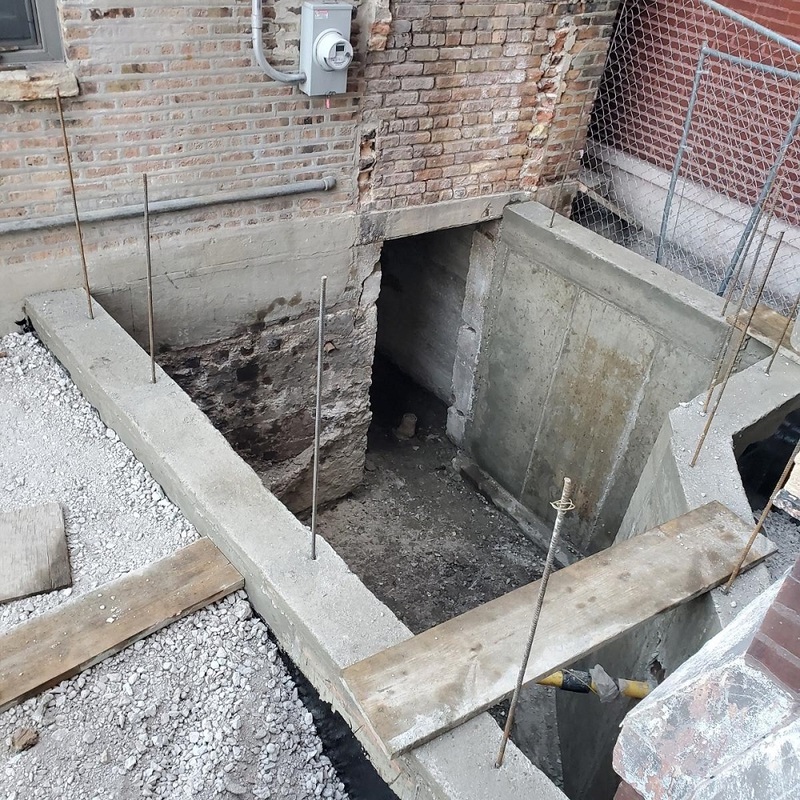 With excavation work complete – and a brief break in the weather offering a rare streak of dry days – the team from Ponce Construction wasted no time in switching gears and turning their attention to pouring new concrete. To our surprise, they actually managed to pour the footings that very same evening after excavation stopped. We had planned on tossing some coins into the concrete as they were being poured – this is a common building tradition in Panama, similar to a groundbreaking ceremony in the States. It’s something we do as a good luck gesture for all of our Panamanian projects. But the quick pace of construction meant that we when we showed up the next morning we found the concrete footings already poured & curing. Oh well, in this case I think we’re willing to risk one of our building superstitions for the sake of maintaining a breakneck construction schedule. Up next are foundation walls, which will be poured on top of those new footings tomorrow. One of our initial worries was that construction of this tiny home would be painfully slow due to the difficulty of getting subcontractors to show up – or even bid on – such a small job in a busy real estate market. Everyone has plenty of work to do – larger jobs, better paying jobs – so why would they even trouble themselves to come do the plumbing work for such a minor project? That’s still a concern – waiting on a sub to show up and complete his work could still potentially bring the entire project to a halt in the coming months, as everything inside this tiny building has a sequential order to follow – but so far the GC has done a fantastic job of keeping the site busy. As soon as the excavators are finished, the concrete is being poured. With new foundation walls in place, a demo team is scheduled to follow right behind them and create some new openings in the existing brick wall. Let’s hope this speed streak continues!